Produktet er på lager og klar til afsendelse. Priserne i DKK er kun vejledende. 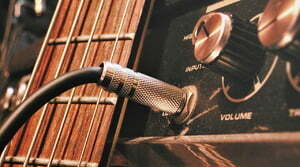 Insulation BoxRecording at home is still a tricky topic for many guitarists. 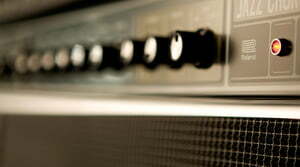 Modeling sound generators or speaker simulators nowadays allow appealing results quick and easy. For people with demanding ears the solution of striking simplicity has not yet been found, however. They might think about an insulation cabinet. With the production standard that came into the home and project studios with the digital revolution, it is obvious that you want to record with the highest sound quality at all times. Not a few guitarists are of the opinion that there is still nothing better than a good amp and the microphone recorded sound of their guitar speakers. If you listen to the results in the studio, you could actually get to that conclusion. The resulting volume, however, is hard to reach within the domestic walls. A so-called insulation cabinet, a closed box with sound insulation, in which a loudspeaker is recorded with a microphone, provides a solution. The uncompromising recording solution for all those who want to record a natural guitar sound despite of restrictions (e.g. too loud amplifier in a living environment or crosstalk from other instruments). The range of avai­lable gui­tars and amps has never been gre­ater than it is today, and a huge variety of sounds are easily acces­sible. 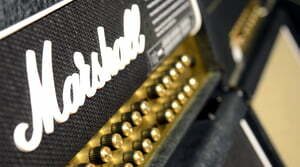 The fol­lowing pages give an over­view of the various types of guitar amp avai­lable. Though there are other options, the stack remains a rock icon, and is still the most fle­xible form of guitar ampli­fi­ca­tion.